In 1981, three school girls from Kibeho, a small village in Nyaruguru district, southern part of Rwanda, said the Holly Marry had appeared to them. Since then, the place has become known to the world, attracting over 500,000 pilgrims every year. In 2001, Pope John Paul II declared Kibeho a Holy Land, just like Fatima in Portugal, Jerusalem in Israel and Lourdes in France. But the story of events that unfolded there during the genocide against the Tutsi in 1994 thrusts deep in the heart. Theophile Zigirumugabe, 41, was then a senior five student at G.S Marie Merci- Kibeho, a Catholic School in the area. One morning, early 1994, his classmates went on strike. They looted beer from a nearby Tutsi shop and drunk wildly. Their intention, said Zigirumugabe, was to reject the school director, Father Jean Marie Vianney Sebera, because he was a Tutsi. It was a period when Tutsi hatred was at its peak. In all parts of the country, Tutsis were being threatened. As the killings went on in other parts of the country, then one morning, Zigirumugabe was surprised to see thousands people running towards the nearby Kibeho parish from Nyakizu, Gorwe and Munini hills. The Interahamwe militias came on April 14, surrounded them and killed them mercilessly. “A three year old baby escaped to our school and four Hutu students strangled the child before dumping him into a pit latrine,” Zigirumugabe told KT Press. The killings intesfied and an estimate 28,000 Tutsis were massacred at Kibeho parish. Some were burnt inside the church, part of which is now serving as a genocide memorial. While killings continued in Kibeho, Father Uwayezu separated Tutsi students from Hutu classmates, according to Zigirumugabe. He relocated the Tutsis to a nearby school, GS Mere du Verbe, in the very dormitory where Virgin Marry had appeared to the three girls. On May 7, he brought ten soldiers and ordered them to slaughter his own students. About 90 people including students and staff of the school were exterminated from the dormitory. Zigirumugabe escaped through the window, but was later reported back to his school director to decide his fate. The director handed him to Laurent Bukibaruta, then Prefect (governor) of Gikongoro prefecture (province), now a genocide fugitive in France. Zigirumugabe was rescued by Rwanda Patriotic Front (RPF) Inkotanyi soldiers. Kibeho Genocide survivors testify that Father Uwayezu coordinated the killings at both his school and at church. During this Genocide several other priests were actively involved. 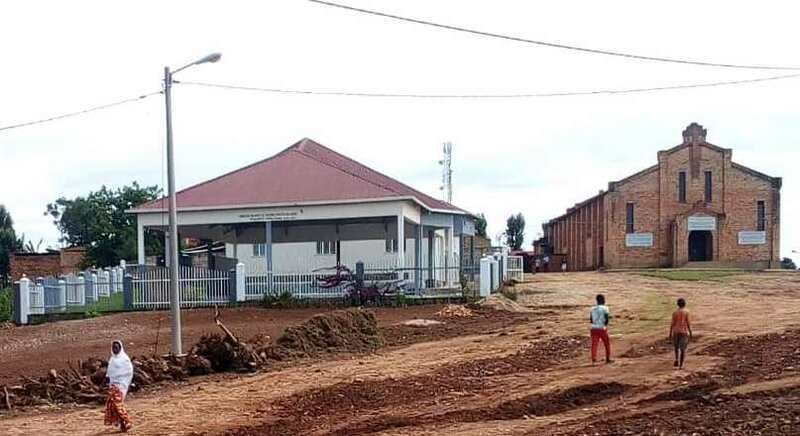 Another, Father Athanase Seromba from Nyange parish in Western Rwanda bulldozed his church to kill thousands of Tutsi who had sought saftey inside. He was sentenced to life imprisonment by the International Criminal Tribunal for Rwanda. “Some of us kept deaf ears to the Pope’s call,” Smaragde Mbonyintege, the President of Rwanda’s Episcopal Council told KT Press. Mbonyintege has said the church will soon apologize for its role. KT Press has learnt that four students at Zigirumugabe School were found guilty of genocide crimes. And Father Uwayezu is happily a practicing priest in Italy, but the echoes of cries from his victims will always haunt him. Meanwhile, Kibeho has now turned into a beacon of hope. Residents have now reconciled. 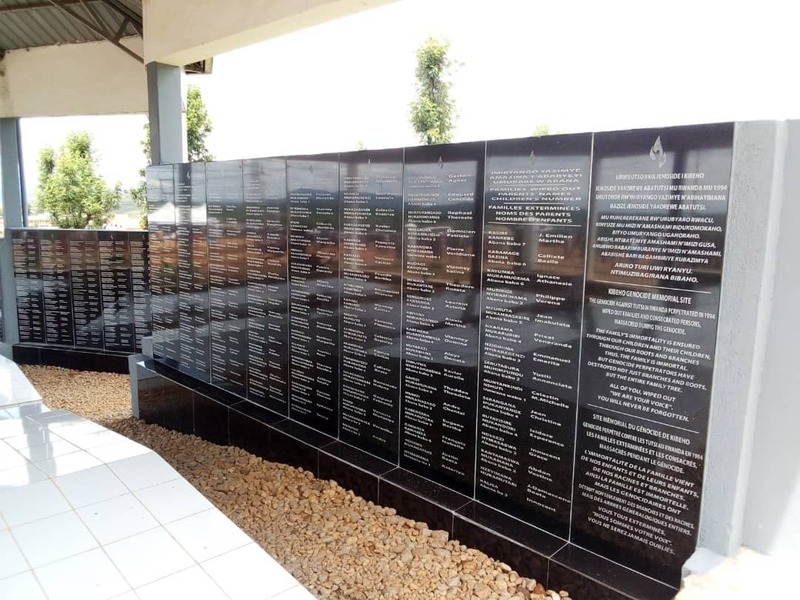 At the 25th commemoration of the Genocide against Tutsi, Genocide survivors said, that at Kibeho memorial 30,000 victims lay to rest, but this is quite a small number. They say that at least 50,000 Tutsi were killed at the place but some bodies were not found for decent burial.